The Vacation Dress is fabulous and stunning for any occasion! 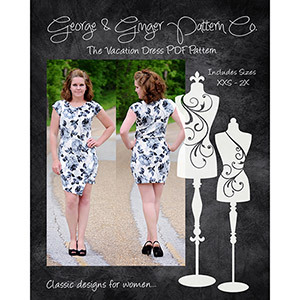 Released exclusively by G&G, this form-fitting, angled hem dress pattern is perfect for a night out or every day! With four sleeve lengths, including sleeveless, this dress will carry you through all seasons! Mix and match contrasting fabric with the decorative trim... This stunning design is a must have for any trendy seamstress’ collection! This pattern is available in sizes XXS to 2XL. 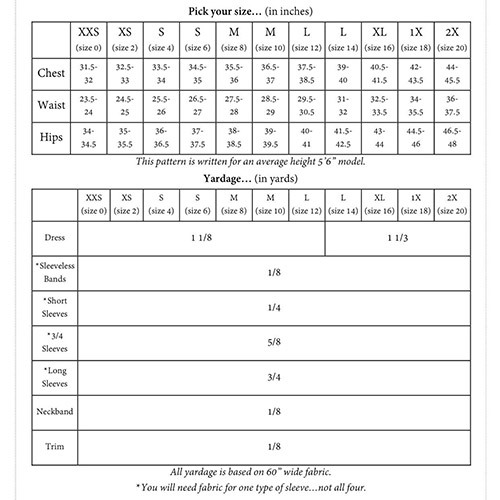 Suggested fabrics are cotton spandex, ponte de roma, and lycra spandex.